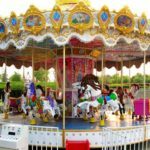 If you`re creating your own carousel ride, then one of the most important aspects of your new ride is going to be the carousel horses. With this in mind, we like to share some practical tips and advice that will help you make the right decision when it comes to purchasing these horses – so let`s get started. One of the first things you`ll need to think about is the cost. 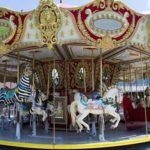 If you want to go with authentic, vintage horses – then you may being looking at a huge investment, because these type of carousel horses are actually considered to be valuable, collectible items. WIth this in mind, the practical thing to do is either buy the modern fiberglass version, or hunt for the rare secondhand carousel horse that still looks fantastic, but comes at a reasonable price. 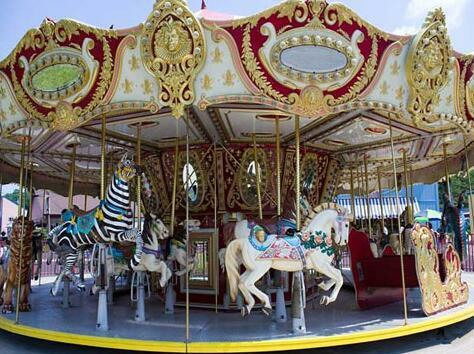 Of course, if you`re planning to purchase these horses to equip a carousel ride for your theme park, you`re going to require many carousel horses! 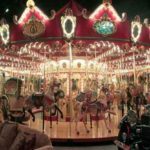 Fortunately, many of the top modern manufacturers of carousel horses will sell their wares in even numbers, so you can conveniently purchase a package of 8, 10, 12, or 16 horses with no trouble at all. 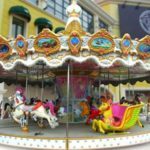 What`s more, these modern fiberglass horses are very easy to maintain – unlike the traditional wooden carousel horses, which can be a real nightmare to maintain! 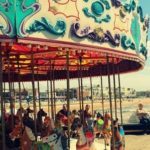 When it comes to purchasing vintage carousel horses for an authentic, aged fairground experience – you need to be extra vigilant – because due to the high demand of vintage carousel horses, there`s many fakes floating around. In particular, you need to be particularly mindful of reproduced, synthetically aged carousel horses. Several unscrupulous retailers may be selling these as intage?and uthentic? where they are merely overpriced imitations that won`t give you the kind of carousel horse you`re truly looking for. One thing to keep in mind is that quality, aged carousel horses will actually age very well – and they tend to be very smooth and tidy in regards to the quality of their finish. So if you come across any horses that are chipped or hollow, then there`s a good chance you`re looking at a pale imitation of the real thing. Interestingly, you can also learn a great deal about your carousel horse based on where the pole hole has been drilled. 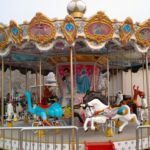 Most authentic carousel horses will actually have the hole position 慽n front?of the saddle – whereas many cheap copies have drilled the hole directly through the saddle. This is an easy thing to miss, but a smart buyer will pay close attention to this fact – because it will give away a huge amount of information in regards to the quality and creation of the carousel horse. 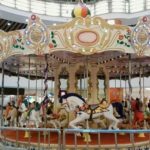 Overall, it`s safe to say that purchasing authentic, vintage carousel horses isn`t always an easy thing to do – and you may need to be prepared for a higher price than you would like, due to their highly collectible nature. But ultimately, they represent a fantastic investment in your growing theme park business, and they`ll certainly be well loved by youngsters and adults alike.